Jobfind.gr, Greece's recruitment portal for all professionals helps companies and recruiters from all over the world to match the right person to the right job. Using the most advanced online technology, Jobfind.gr connects employers with quality job seekers from Greece. Jobfind.gr offers a quick and effective way in finding and recruiting the best quality candidates. It also provides companies with tools that help them filter and refine all resumes so that they can find the candidate that really suits their needs. Whether you are a Business owner, Recruiter or HR manager Jobfind can put your job adverts in front of the right candidates in Greece and at the right time. 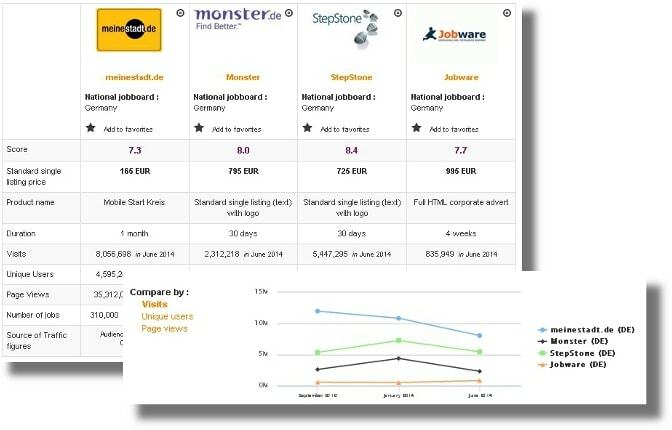 Summary: JobFind is a Greek job board, which attracts as many as 560 200 views a month. That makes it the 4th most visited job site in Greece. It has a particularly attractive homepage and many images all over the site. On social media, JobFind keeps its followers updated on Twitter (1 764 followers), on Facebook (60 180) and on Linkedin (1 286). There is no “About us” section on the site but on Linkedin, the director is listed as Angelo Vadasis. According to his page, he has been the director since 2009, which is strange considering the website claims the foundation was in 2014. Design: The homepage opens onto the image of a girl smiling as she looks at her computer. On either side of her, users are encouraged to register. Just underneath the image, there are four different lists: jobs by city, by industry, by language and international jobs. There is no search engine though and the filters, which appear on the left-hand side, are just the four lists. You cannot use any keywords or view all the job offers. The rest of the homepage is the educational portal and the articles. In the job listing, users are once again encouraged to create an account, there are no logos but you can see the publication date, the contract type, the location, the category and job title. The company name is not necessarily revealed. There are no logos in the list or in the opened job offer. The job board objective: JobFind makes it easier for jobseekers to find work. In their blog, additional useful sites are also provided. Recruiter observations: For any information or to purchase a package (the prices are on the website), you need to contact the team. However you can create an advert and an account by clicking on “create an account and post an advert” in the footer. It then needs to be approved by the team (so it’s the same as sending them an e-mail). Jobseeker observations: It’s easy to create an account but you also need to fill out your online CV if you want to apply to job offers. Some redirect you to a different page. The job offers: The category with the most job offers is tourism (with 710 job offers) but most of the categories have between 50 and 100 vacancies. The categories are listed in order of the ones with the most to the ones with the least offers. Special features: Semifind (the educational portal); the seminars; the blog (with a wide range of articles, some are really just advertising sites or current jobs); the past jobs. Verdict: It’s a bit of a shame that such an aesthetically appealing site should ultimately not be that easy to use. The absence of a search engine makes it difficult to visualise all the job offers. Definitely an interesting website for anyone looking to discover local seminars. Login here for FREE to unlock access to the traffic audience, content and pricing section for more information on Jobfind.gr - Career Portal. 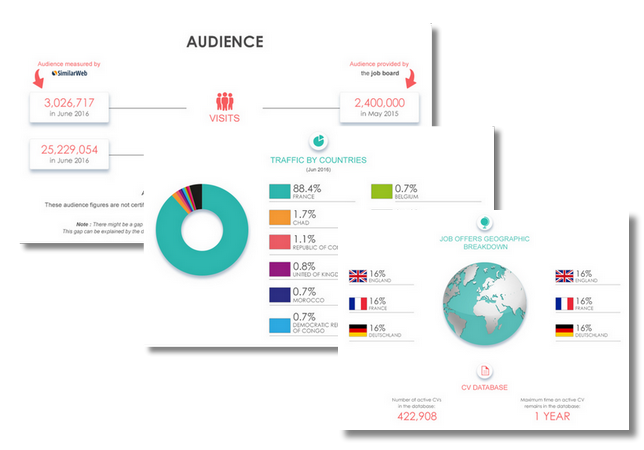 Do you know Jobfind.gr - Career Portal?